Would you like something else to cook on the barbecue? Go for lobster! If you choose ultra-high pressure (UHP) lobster, you opt for delicious flavours, high animal welfare and ease of use. We bet that your guests will be surprised. 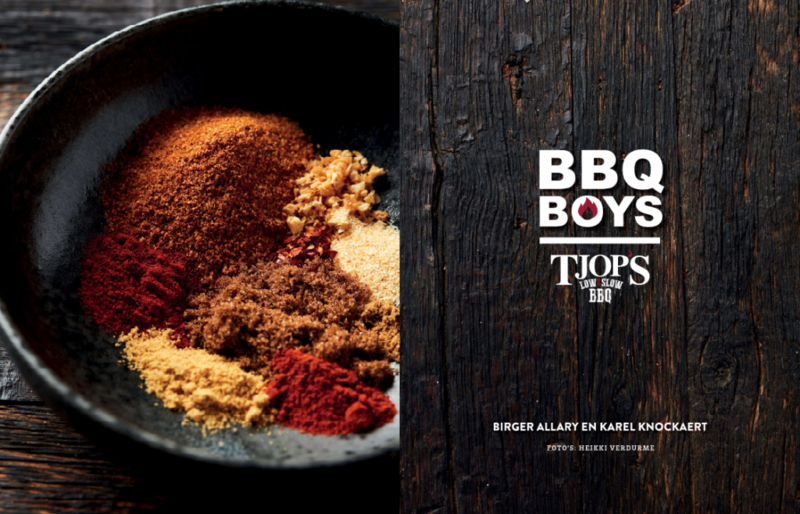 Karel Knockaert and Birger Allary have notched up one barbecue award after another. In Flanders, with Tjop’s, they won the TV programme ‘My Pop-Up Restaurant’. The two have also written an accessible book with practical and useful tips about barbecue equipment and techniques. Furthermore, in BBQ BOYS there are also more than 65 inspirational recipes. For example, with Canadian Chez Vous lobster. Pittman Chez Vous lobsters are caught off the coast of Canada. The fishing traps only capture adult lobsters. This is good for maintaining a sustainable lobster stock. Immediately following the catch they are processed and quickly deep frozen with the help of UHP. This is not only animal-friendly but also kills any germs so that the lobster meat has a longer shelf life. What is also good to know is that this method requires no airfreight transport. By making use of sea freight the logistics are more efficient and there is far less impact on the environment. The experienced barbecue experts Karel and Birger often use Chez Vous lobsters. The main reason is that the meat comes away easily and the authentic, juicy flavour of fresh lobster is preserved. In their book BBQ BOYS they prepare a mouth-watering appetizer: celeriac soup with lobster tail. The chefs smoke thick slices of celeriac indirectly for fifteen minutes at around 160°C. They then make soup from this with white onions and chicken fond. They flavour the smoothly mixed soup with some horseradish. They season the lobster tail with pepper, salt and paprika before briefly grilling it on the flesh side above direct heat. After this they turn the tail over and allow it to cook for a further six minutes. They top the aromatic soup with a piece of lobster tail. Looks beautiful, tastes fantastic. During My Pop-Up Restaurant the barbecue maestros got to know Yannick and Lena. Karel and Birger were surprised by their surf and turf combinations. In BBQ BOYS they therefore pay tribute with a real classic: UHP lobster with rib eye. Their so-called ‘Meat & Griet’ combines the best of two worlds. They thaw out half a Chez Vous lobster and then sprinkle it with olive oil, pepper and salt. After allowing the rib eye to come to the room temperature, they season the meat with pepper, salt and garlic powder. The rib eye is grilled very briefly, until a grill stripe appears. This is then turned over again and grilled for a further three minutes. The lobster is cooked briefly, shell-side down. The lobster and rib eye are served together with (fresh) herb butter. A winner for every table! UHP lobster is a tremendously rewarding experience for barbecue enthusiasts. It is extremely versatile, tasty and easy to prepare. Chez Vous lobsters are available in various varieties: half a raw lobster, raw lobster tails, raw lobster meat (whole lobster) and raw meat from 2 lobster tails.